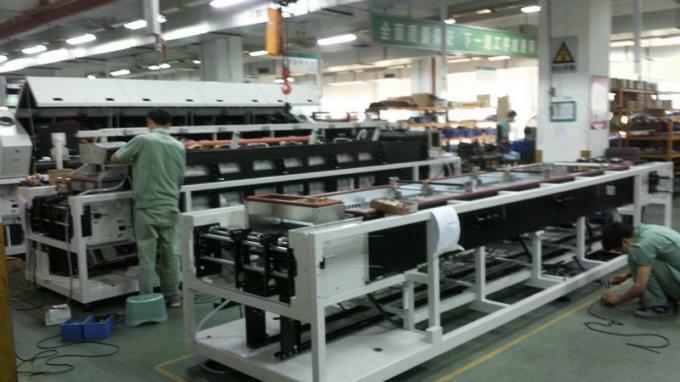 KINGFEI has advanced production management and Introduction of Foreign advanced Technology, also offer high quanlity substitute goods and other SMT related small equipments. 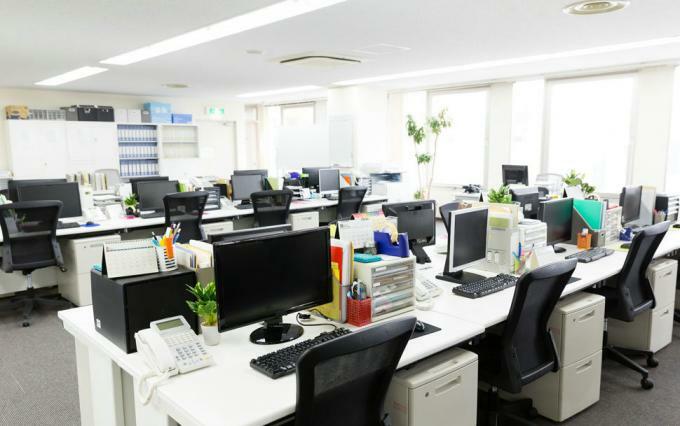 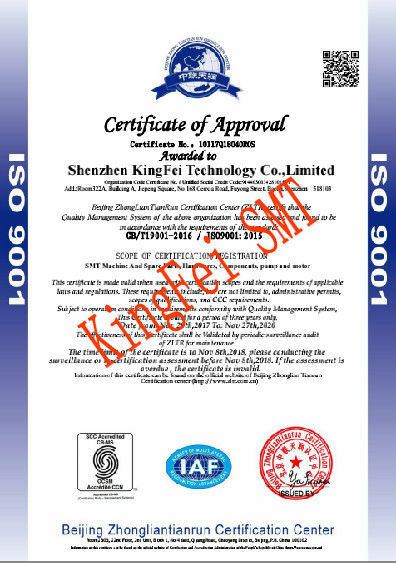 Dongguan KingFei Technology Co.,Limited mainly deals with sale, maintenance and technical service of SMT/AI equipment and peripherals. 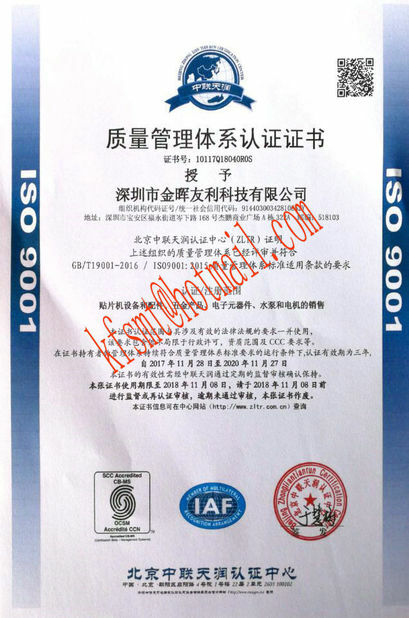 Since its foundation, KingFei has been engaged in providing considerate services and optimal performance cost products to electronic manufacturers and merchants prioritizing “clients, quality, sincerity and reward ”. 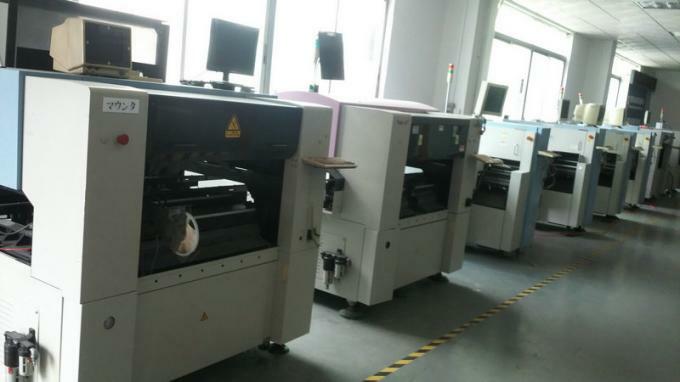 We can afford coordinated SMT services by means of nearly 200 all-round professionals, state-of-the-art SMTmounting machine & AI equipment production lines and rich maintenance experience over JUKI equipment and peripherals. 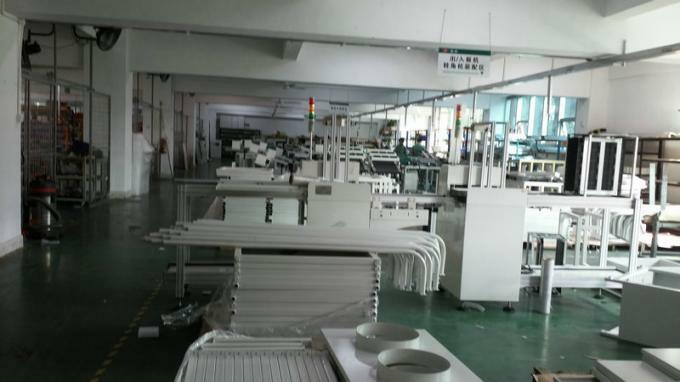 Therefore, we have confidence to take the lead in SMT equipment service with virtue of overall strength, consummate service system and sincere business philosophy.